We are a small bookkeeping firm in Houston, Texas area whose focus is to provide small business clients with the unique tools to help their business grow. With over 10 years experience in the industry, we specialized in training your staff, supplementing the daily bookkeeping, and overseeing and adjusting the financial reports essential for running a successful business. Our experienced staff is trained to provide accurate, reliable, and dependable financial information to help business owners make important business decisions. Our IRS Enrolled agents provide tax services for individuals, s-corporations, partnerships, trusts, c-corportations, and sole proprietors. 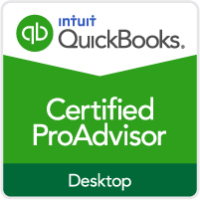 Optional services include maintaining of all financial accounts all year long and making quarterly financial deposits to aid in the accurate preparation on tax reports. We are now offering three level of payroll processing options at a very affordable price: Do-it-your self, Assisted payroll, and Full Service Options. We are Certified QuickBooks Proadvisors specializing in QuickBooks Online, QuickBooks Pro, QuickBooks Premier, and QuickBooks Enterprise, providing live support on a demand basis. I worked over 3 years with an over priced CPA to maintain my books and help with tax preparation. Barradas and Associates have changed the way we do business and provided a more personal support that I never received with the CPA firm. Judith was an excellent member of our team. 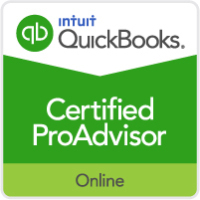 She taught me who to efficiently use QuickBooks Online and I no longer have to worry about complicated reports. She takes care of everything for me.